Until you find a suitable model of an ICBM, you’ll have to make do learnin’ to fear this toy spacecraft. 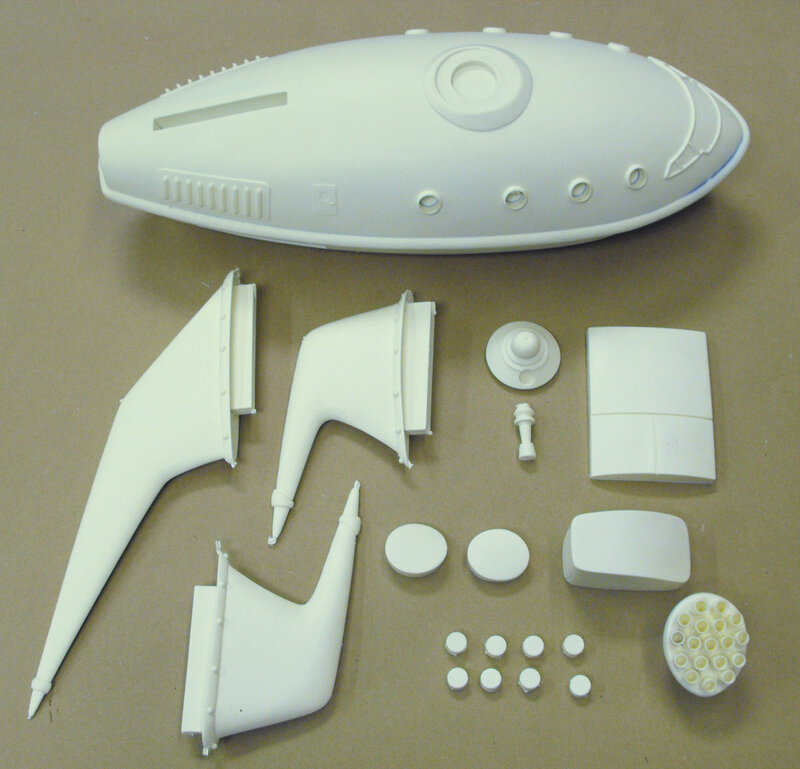 Everything you need to make interstellar deliveries at 1/50th scale! 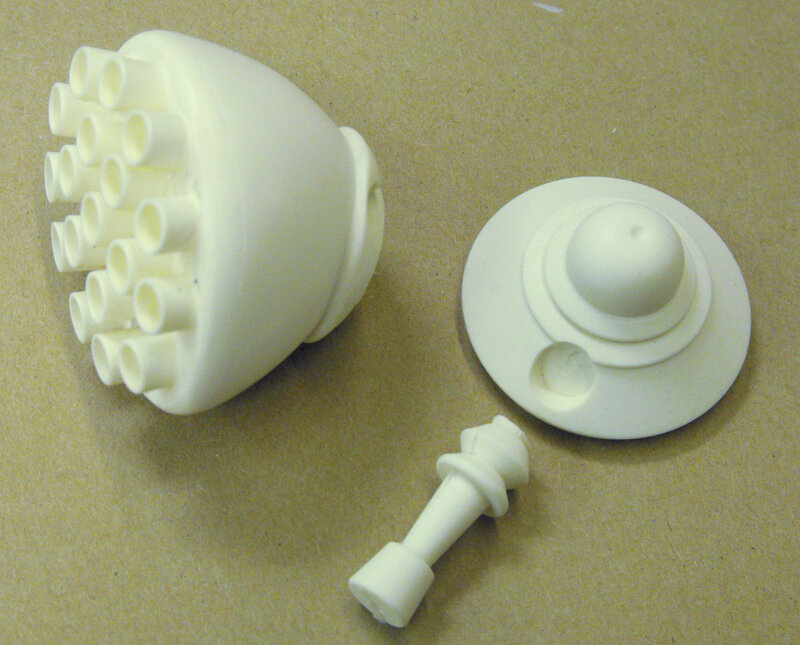 This is a 19-piece kit; all parts are cast in urethane resin and will be provided untrimmed. 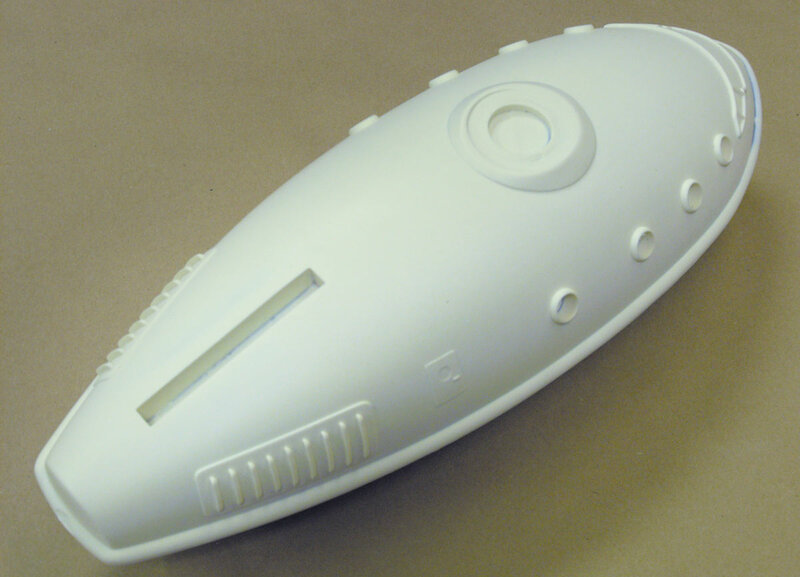 Only the main hull is hollow, all other parts are solid castings. 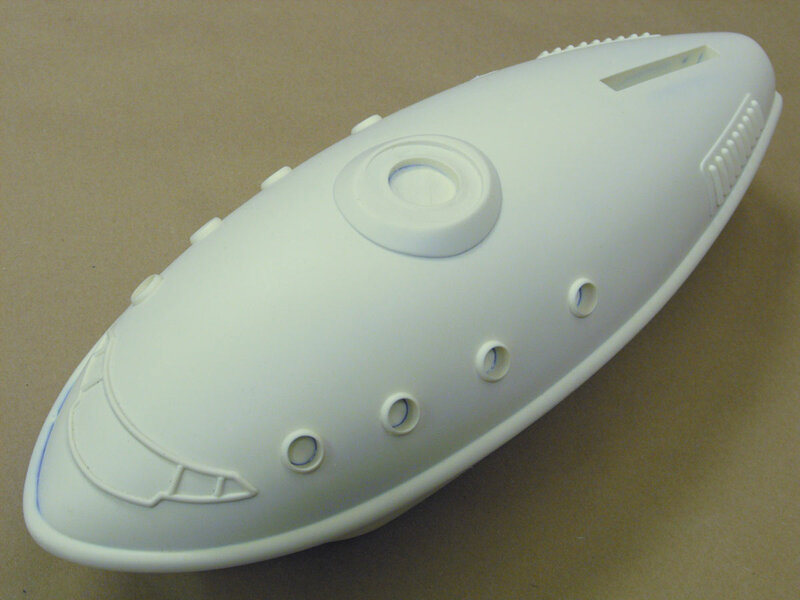 The completed ship measures 24″ long, 8″ high and 9″ wide. 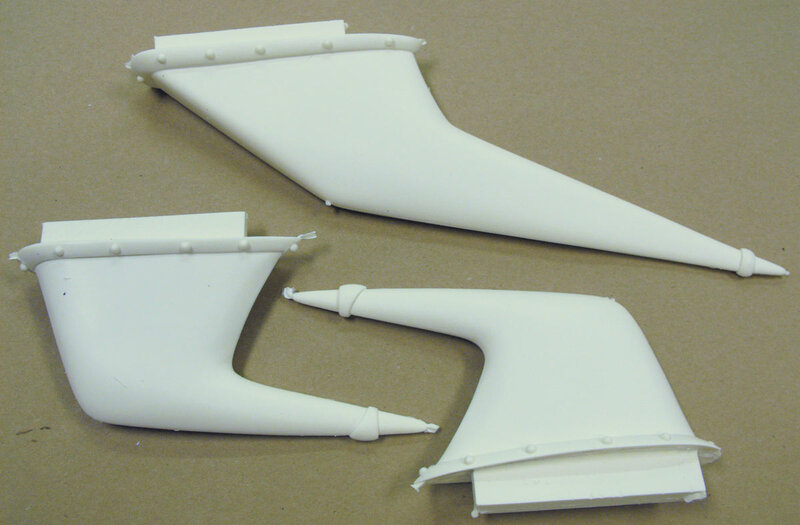 If you wish to add illuminated wing tips to the tail fins, clear lenses are available for purchase on our shop. 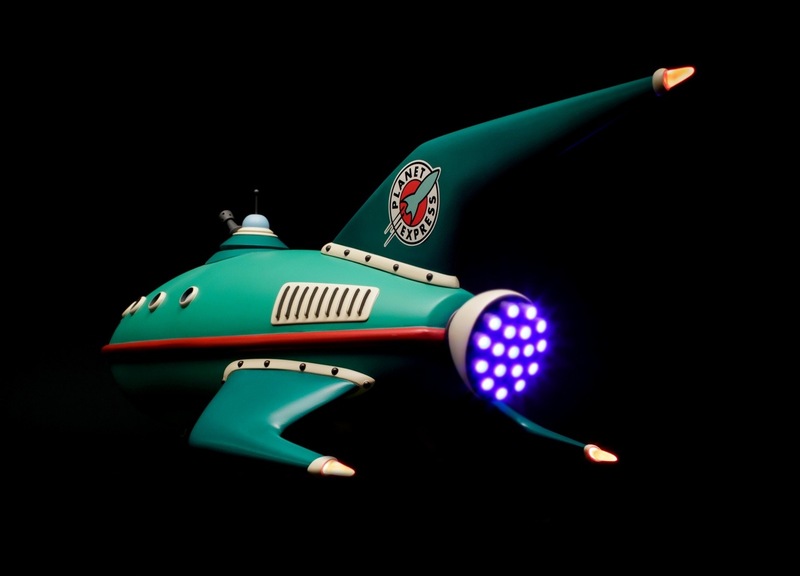 Click here for the Planet Express Ship design and build log. If you wish to add illuminated wing tips to the tail fins, clear lenses are available for purchase here.